One of Switzerland’s most popular tourist destinations, Zurich features a wide array of cultural attractions, all of which remain in close proximity to some of the country’s most beautiful natural areas you can easily get to by Zurich motorhome rental, RV rentals or campervan hire. The largest city in the country, Zurich’s well developed infrastructure allows tourists to locate a variety of travel-related amenities, including Zurich camper hire locations. After picking up your Zurich campervan hire, you are on the road to an enriching and entertaining journey throughout the area. 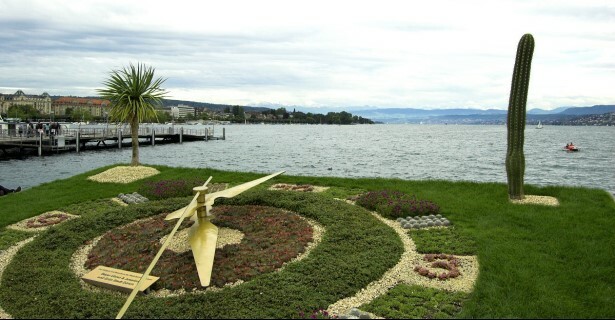 Nearby attractions include Lake Zürich, the Limmat valley, and a diverse collection of wooded areas, including the Gubrist, the Hönggerberg, the Zürichberg, and the Adlisberg peaks. Thanks to a relatively mild climate, those interested in exploring Zurich and other regions of Switzerland using an RV rental in Zurich are advised to visit between April and September when the weather is most enjoyable for outdoor pursuits. The banks of Zurich’s innumerable lakes hum with a steady buzz, especially in August when the highly attended Street Parade is held. For those who have just arrived in Zurich, it may be preferential to explore the city prior to seeking out a RV hire or campervan rental in Zurich due to the fact that parking is relatively scarce for vehicles of this size within the city limits. After completing a tour of Switzerland’s largest city, visitors can use their Zurich motorhome hire to embark upon a journey into the aforementioned natural areas, as well as beginning a longer journey to other urban zones like Lausanne, Geneva, Basel and the capital, Berne. Zurich motorhome rental is widely considered to be much more affordable than hotel rentals, in large part due to Zurich’s regular stream of executive visitors with expense accounts. A campervan is also highly desirable when exploring the Swiss countryside as it takes full advantage of Switzerland’s excellent road networks that connect even the remotest valleys to bustling cities. The tri-lingual and sparsely populated Graubunden less than two hours southeast is not as remote as the maps would have you believe if you get to it in a well-provisioned RV rental or campervan hire. Ticino is near the border with Italy and at the base of the Alps, but it’s an easy drive three hours south by RV rental in Zurich. The L-shaped Valais, home to the highest peaks and largest glaciers, is directly to its west. Within this range, you can find the imposing Matterhorn and the ski fields that promise an unforgettable skiing experience. If you fancy French wine and cuisine, drive your campervan hire in Zurich to Basel and Aargau for a jaunt to Paris. You should not miss out, however, Switzerland’s own vineyards at Lavaux on the shores of the mesmerizing Lake Geneva. Indulge your appetite for hops during the legendary Munich Oktoberfest, just three hours northeast of Zurich.